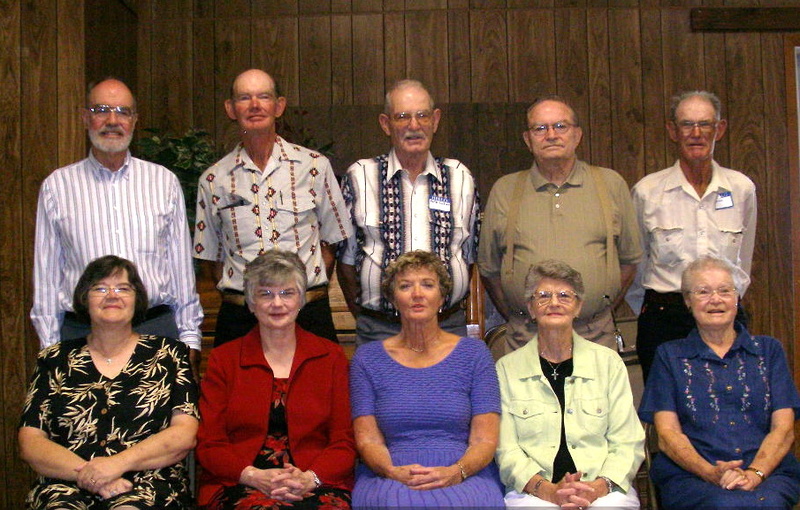 It is a tradition in the Lutes Family to have a grand reunion every 5 years if possible. August 12-14 2005 the Family gathered at the Assembly of God Camp in Lexington Nebraska. All told some 125 attended, and a great storm of visiting, eating, playing, singing and praying ensued. A similar reunion was held in 2001, and this link will take you to that event. HERE ARE AS MANY OF US AS WE COULD GET TOGETHER AT ONE TIME! We arrived on Friday and many hugs were shared. Several people brought quilts, made by Grandma Lutes, to display. Here are some of those pictures. Saturday was a day of more visiting, eating and games.. Click here to see some of the fun. A lovely Saturday afternoon found many outside playing. Take a look! Please note that Thomas seems to be the most adventurous of the senior generation. The Lutes Family has various talents, and some of them were displayed on Saturday evening. We wish you could hear the poems and music represented by these pictures. Sunday morning found us having our own service of worship to God. Loren, Hal and Keith led with Janis and Tammy playing piano. Carol gave the message, and we enjoyed lots of special music. Here are pictures of the whole group, of the siblings, and of various families. The Harmon Family Clan had a much smaller gathering the weekend before LUTESWORLD 2005. CLICK HERE for many pictures of that event.